Yesterday I gave a talk to a local writers’ group about my writing and about the publishing of my two novels. 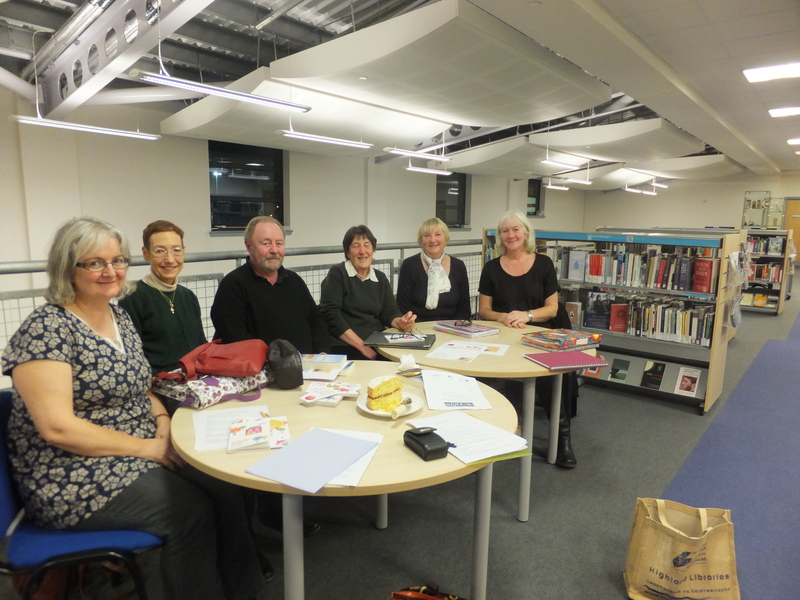 I was invited along to the local library to speak to the Keep Writing group which meets once a month to discuss and share all things writing. It’s the first time I’ve done anything like that and I was quite nervous. But I needn’t have worried. After a warm welcome supplemented with coffee and home-baked cake (thanks Lynn), I found that I really enjoyed talking to my small and receptive audience. I spoke about what writing meant to me and how I’d become a writer. I also explained what it is to be an author-publisher. The group also shared some pieces of writing they’d been doing this month on the theme of ‘ghosts’ and one of the members shared some of the memoir writing he’s been doing lately. I’ve even been asked back next year to talk some more about the publishing process. It was very apt to be doing the talk during this particular week as it’s Book Week Scotland. And even more apt to be in the local library as libraries figure highly in the week’s events. Indeed one of the things that the organisers, Scottish Book Trust have asked readers to do this week is to write a love letter to their library. 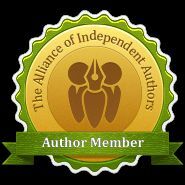 I also made a small contribution to the spirit of the week by offering both my novels for free on Kindle all week and have had almost 300 downloads. I do hope at least some of them are read. The book week is a great idea and hopefully lots of people have been encouraged to take up or do more reading. Below you can see the Trust’s full programme. Do read the love letters from authors Jackie Kay and AL Kennedy to their libraries. Finding true love has never been easier. Simply answer 12 straighforward questions to reveal your perfect love match from literature. Dating them is simple too – just buy or borrow the book. Do you struggle to find time for reading? Have you always wanted to have a reading hour each week with your family? Or, perhaps, you’ve always like the idea of colour coding your bookshelves? For #BookWeekScot we’re asking you to make a Reading Pledge so now is the time to live your daydreams and commit to books and reading. Vote for your favourite character from a Scottish book! Are you more a Hit Girl or Hermione sort of person? Would you rather play billiards with Begbie or Sherlock? We’re searching for the world’s favourite character from a Scottish book for Book Week Scotland 2014. Vote before our 26 November deadline and tune into BBC Radio Scotland on Friday 28 November to hear the results. We’ve teamed up with the Guardian to get the nation to show their libraries just how much they love them. Either write a love email to your library online or contribute your love letter to Guardian Witness. If you feel as if you need inspiration read Jackie Kay’s tear-jerking Dear Library or AL Kennedy’s incredibly touching library love letter. Bookbug is offering an incredible prize to one lucky family. For #BookWeekScot they are offering the chance to win an illustrated family portrait from top illustrator Cate James. Simply send bookbug@scottishbooktrust.com your Storytime Selfies to enter. The winner will be chosen at random.